One of the most difficult parts of being a grieving parent is supporting my other children as they miss their sister. When your baby or child dies you attempt to navigate your own grief as you struggle to explain to your other young children what happened to their brother or sister. I always reach for quality literature to assist me in explaining difficult concepts to my kids. 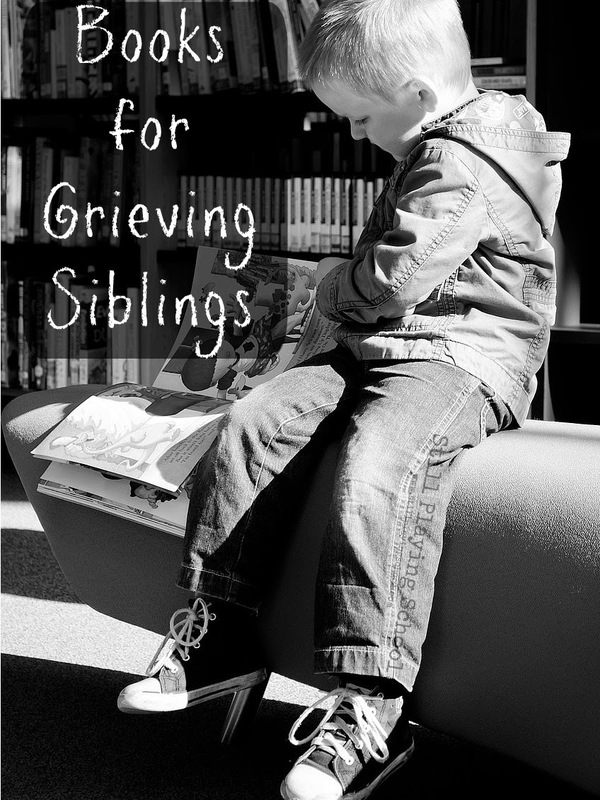 This book list is for grieving siblings to understand the loss of a baby brother or sister. For this post in particular, I will donate any affiliate profits to Sweet Pea Project. This picture book was one of the first we purchased for our daughter E after her sister Violet died. It is written from the perspective of a child and his parents who are excited to add another baby to the family but the baby does not come home from the hospital. While there are references to the baby being an angel, other than that the book is not religious. This book is so beautiful but I couldn't read it without crying the first twenty or so times which was fine. It was important for E to see me cry and grieve in a healthy way over her sister. Something Happened assures siblings that the baby in their family who died can be remembered and included in their family in positive ways such as planting a tree or having a special place to go to think of the baby. It contains text boxes on each page (that is not intended to be read to the children) which explain to parents and caregivers insight on what the grieving child may be feeling, thinking, and wondering. A gentle, beautiful book about life and death in general, Lifetimes explains that people, plants, and animals all live then die. The explanation of the natural progression of life (even a short one) followed by death is comforting in that it is universal. The Invisible String explains that love connects us no matter where we go. While not specifically about death, this touching story is a wonderful way to connect siblings to their brother or sister who is no longer physically here but still very much a part of their family. In honor of Violet's third birthday we would love for you to purchase a book in her memory. HK Pinwheel Packs donates sibling grief packages to brothers and sisters when their baby siblings die before, during, or shortly after birth. If you select the gift option during check out, you can include a note letting HK Pinwheel Packs know that you are donating the book in memory of Violet. They have generously offered to inscribe the books with whatever you include in the gift notes when ordering. please check out Growing Book by Book's list for talking to children about a death of a sibling.